The Fujifilm X-T30 has reached the Indian coast. Just last month, Fujifilm added the X-T30 to its X series APS-C camera and pretty fast, the company launched the camera in the country. 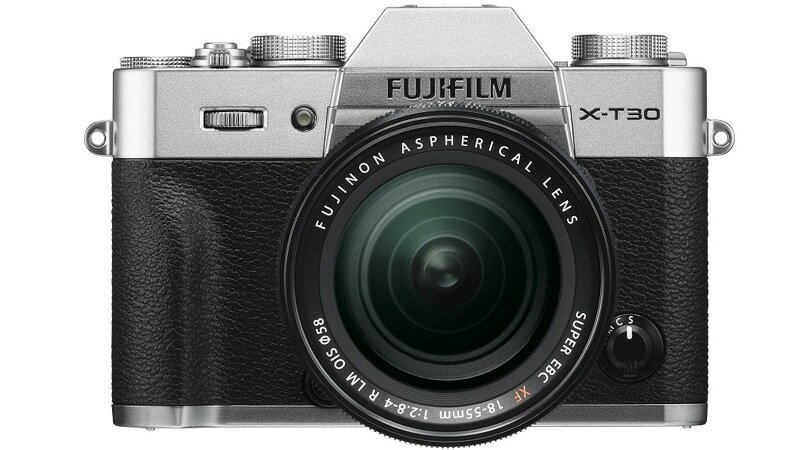 The Fujifilm X-T30 is priced at Rs. 74,999 for the body but will also be available in the kit. The price of a beam with a lens of 18 to 55 mm is 50 kn. 94,999 while the 18-135mm beam lens will be retail. 99.999. Looking at the prices, it seems that Fujifilm targets Sony's recently launched A6400 non-mirrored camera, which is also available at a similar price. The X-30 is a sequel to the X-T20 and features an enhanced APS-C 26.1 Megapixel sensor with quad-core X-Processor 4 image processor. Other features include a hybrid AF system with 425 Auto Focus Points (PDAF) covering 100% frame, EyeAF, and a new facelift feature. Furthermore, you will receive OLED EVF resolution of 2.36 million points, 3-inch touchscreen with tilt, 4K shooting up to 30fps or 1080p up to 120fps, one SD card slot and built-in Wi-Fi and Bluetooth, The X-T30 weighs just 383 grams and is equipped with a new re-designed handgrip and focusing lever, which promises better handheld stability. The camera also has movie simulation modes that can be used to capture photos or videos. This includes Fujifilm's "ETERNA" simulation mode for a richer color classification. "Catering to the photographer's spending patterns, the X-T30, not only offers a new camera experience to end users, but also brings a new design industry to product design," said Haruto Iwata, director of Fujifilm India. "We've also brought an intelligent sensor and fast image processing technology to this compact and lightweight body to achieve the ultimate picture quality." "With this new add-on in our X series we try to help our customers product that will help them expand the horizon of their photographic capabilities," Iwata added.